The aim of the event to show the practical potential of digitising healthcare, highlighting contemporary trends in the sector. Healthcare systems around the world see digital transformation as a key factor that increases efficiency and availability. 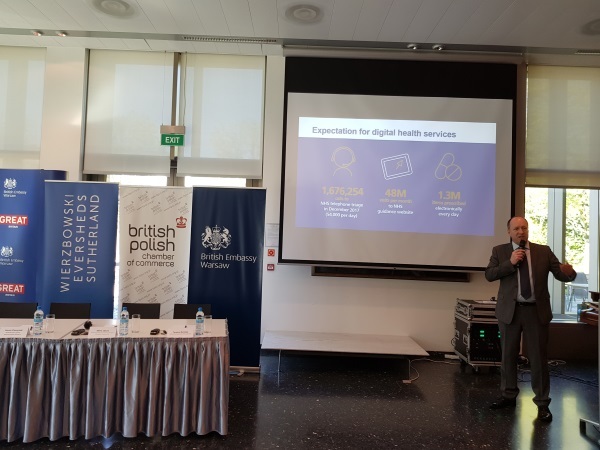 After an opening and welcome from Her Majesty's Ambassador, Jonathan Knott, and Krzysztof Kurek, member of the board for medical affairs, Lux Med Group, the keynote presentation was delivered by Andrew Meyer, director of the Digital Delivery Centre at NHS Digital. 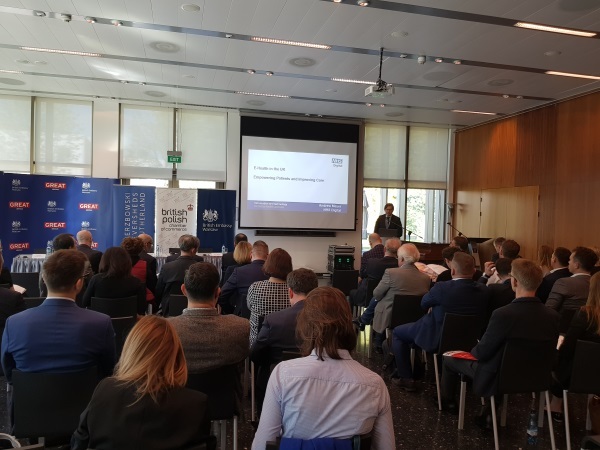 Mr Meyer spoke of the 'digital journey' on which Britain's National Health Service had embarked to deliver the benefits that electronic solutions could bring. The first electronic patient records were created back in 1973, and since then work has progressed to connect doctors and patients' data in ever-more efficient ways. The aim of digitisation has always been to reduce pressure on front-line staff. The NHS has moved on from gigantic super-projects with large systems integrators, which carried with them the risk of ending up not being fit for purpose or insufficiently robust. Rather, the NHS approach today is to look at discrete pieces of open-source software from start-ups, capable of solving one problem or set of problems, and ensuring interoperability with other software solutions within the system. Project management is critical in coordinating a system of this size. Built around the backbone of the NHS Spine, launched in 2003 at a cost of £100m, with a demographic database containing a summary care record of over 70 million people, NHS Digital copes with up to 3,000 messages a second and 1.7 million e-prescriptions a day (56% of all prescription). 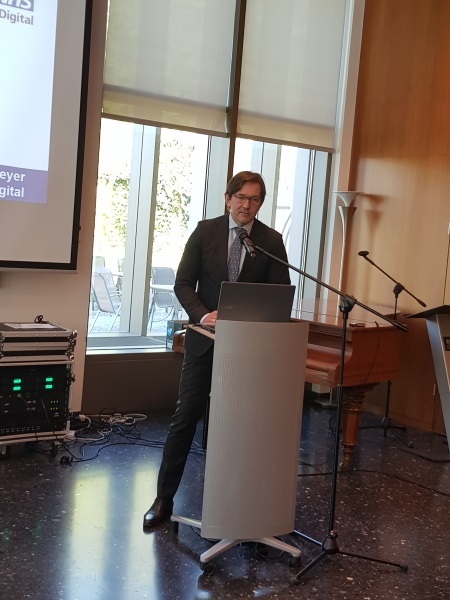 Mr Meyer described NHS Digital's role as being an assurance organisation, a safe haven for patient data, an organisation with huge challenges ahead, such as artificial intelligence and big data. 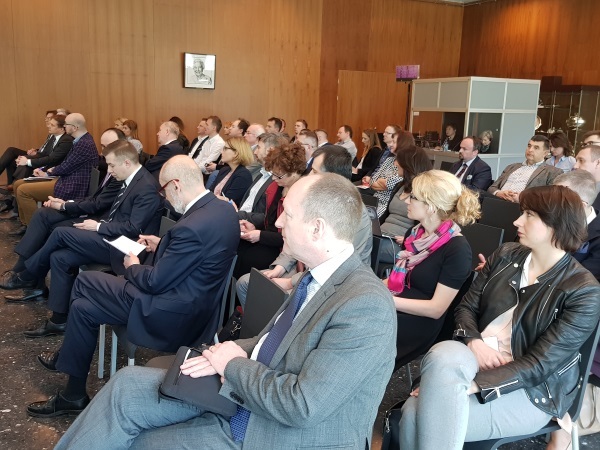 The presentation was followed by a panel discussion, in which the voices of doctors, patients, private healthcare providers were joined by Janusz Cieszyński, undersecretary at the Ministry of Health and Mr Meyer, to compare the state of e-health in both countries. Moderated by Ewa Borek from My Pacjenci (‘We patients') foundation, the discussion centred around the preparedness (or otherwise) of doctors, patients and indeed institutions to move away from paper prescriptions, referrals and sicknotes to online ones. Dr Tomasz Zieliński said that among the 4,000 patients in his rural practice in Lubelskie province, only five or six are ready to go online. He also said that for many older doctors, who are still relative strangers to computers, being forced to go digital may be a strong signal to retire – exacerbating a skills shortage that is difficult to fill. Maria Libura, from the association of assistance to people with Prader-Willi syndrome, said that in the case of rare diseases, patients have tended to go online not only to find medical information, but also to make contact and form support networks with other sufferers. Both Ms Libura and Ms Borek tended to disagree with Dr Zieliński's assessment of the unpreparedness of patients to go digital. Encouraging older doctors, who tend to think that money for IT could be better spent on drugs, should be done by showing its benefits rather than trying to break their resistance. In the early stages of digitisation, work is being duplicated; paper records are backed up by – rather than being replaced by – digitial documents. 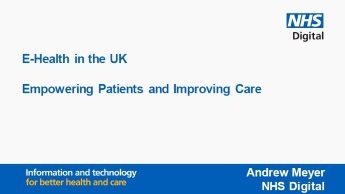 Mr Meyer responded to these descriptions of cultural differences by saying that the approach to IT development needs to be leaner and more client-focused, with the developers getting out and talking to users, patients and clinicians. Krzysztof Kurek of Lux Med Group talked about the private sector experience in implementing IT programmes, while minister Janusz Czeszyński gave an overview of where the Polish government and the National Health Fund were at this time in terms of delivering e-health solutions. Daria Gęsicka, counsel, from law firm Wierzbowski Eversheds Sutherland talked about telemedicine and the law, describing the legal environment for delivering healthcare services online or over the phone. She said that EU law has made an improvement to the Polish system and there have been a few local changes in the Polish system itself. She highlighted the areas where more clarity had been needed from the regulator and where the changes had been introduced. For example, could telemedicine be considered to be e-commerce? She referred to the online taxi firm Uber, asking whether it is e-commerce or logistics? Issues such as personal data protection and liability were also important, said Ms Gęsicka. In case of a major failing, would the liability fall on the internet service provider, the creator of the medical app, the healthcare professional in charge or the patient, she asked. She concluded that although answer to the questions is still complex, Polish system is getting ready for unlocking full potential of telemedicine. 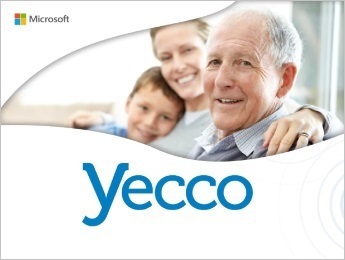 There were two case studies presented, one from the Institute of Physiology and Pathology of Hearing, in Kajetany near Warsaw, and one from healthcare/social care start-up Yecco. 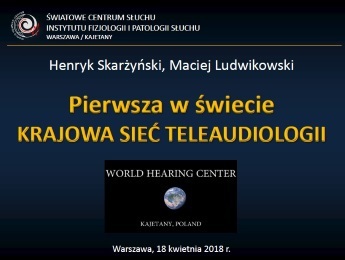 Dr Maciej Ludwikowski presented the hearing centre in Kajetany, which is a global leader in its field. Among its achievements is the creation of online solutions for screening children's hearing and rehabilitation of implant patients. Janet Jadavji, director of Yecco, presented two projects her company is working on, one around dementia care, and a project of wider scope aimed at reducing the number of elderly people who fall and break their hips. 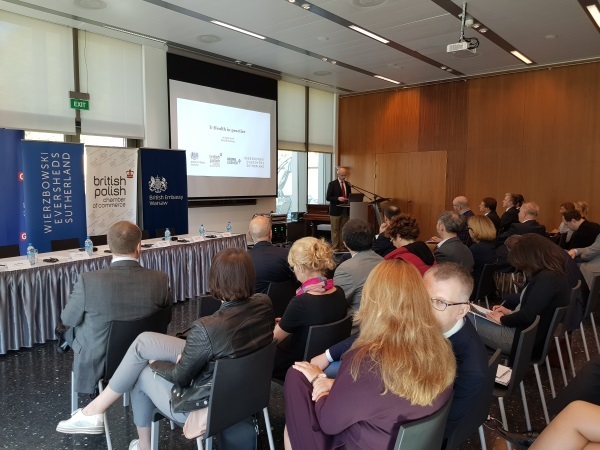 The presentations were followed by a networking lunch, in which Polish IT solution providers and other healthcare businesses had the chance to swap business cards and talk to delegates from the UK.